Robust tube frame Ø 30 mm, with U-shaped front. which serves as tipping bar. Two stabilizers welded to the frame. Folded tubular support between the front of the tray and the frame of the hand trolley. Leading pneumatic wheel Ø 380 mm. 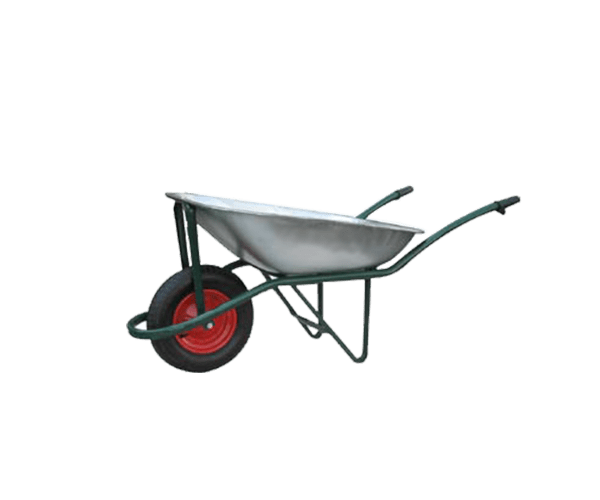 Wheelbarrow DJTR 085 RK is suitable for construction and home use. 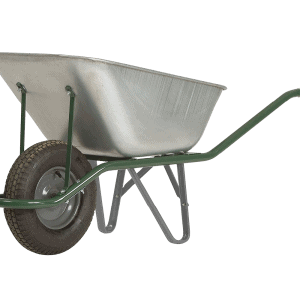 The tray of this model a construction trolley is made of galvanized metal sheet and has a capacity of 85 liters. It is fixed to the frame. A bent tubular support is mounted at the front of the tray, which is also attached to the frame. In this way the necessary load capacity of the hand trolley is ensured. 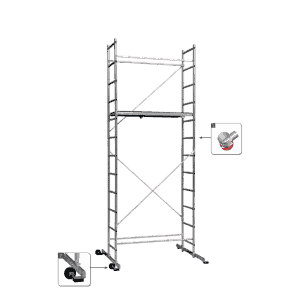 The frame is painted and is a non-detachable tubular structure. Its front part is bent and is used for tipping bar. This facilitates unloading. At the back of the frame there are two rubberized handles for convenient grip. 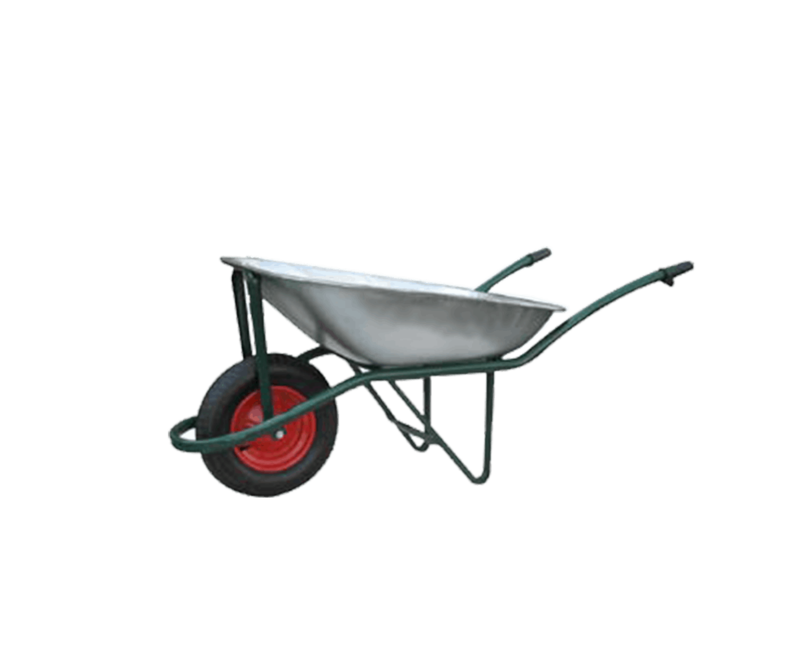 Wheelbarrow DJTR 085 RK has a front pneumatic wheel with a metal disc rim. 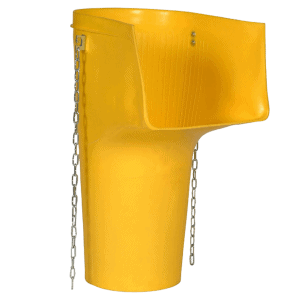 It assists with ease of movement and control. 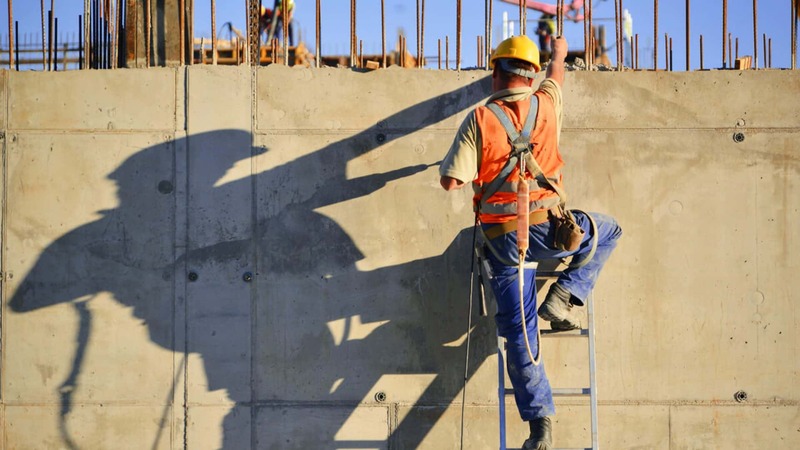 If you need further information – contact us Djody Trade Ltd.